We're continuing our series of blog pieces, interviews and insights into what our wonderful team here at uMotif get up to with a focus on technology. 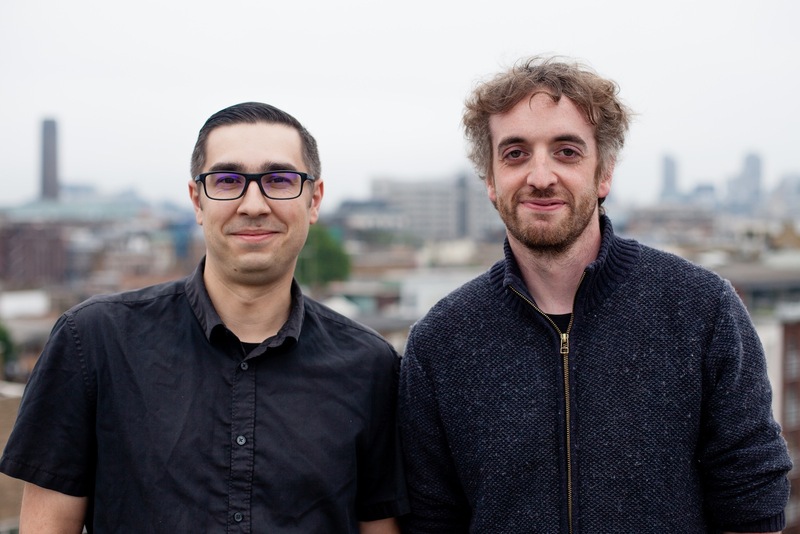 Our second feature is an interview with Greg Haddow and Michal Fiedorowicz, Senior Developers and members of the team responsible for our infrastructure, performance, and security. More ' uWrites' are on the way! Can you share at a high level what makes up the uMotif infrastructure? MF: The uMotif platform consists of various components. The one most people are familiar with is the study participant mobile application, available on both iOS and Android devices. This is the part that study participants use to capture their data and contains the eCOA and ePRO tools and our unique motif symptom tracker. These mobile applications communicate securely with a series of microservices running on our infrastructure in the cloud, and it's these microservices and the related infrastructure that both Greg and I are responsible for. GH: These services take data captured through the participant applications, organise it, secure it, and make it available to patients, care teams, and researchers, in their desired format. It also acts as the tool by which we configure the platform for each study or trial. Where does this infrastructure sit? GH: It all runs in the cloud in Amazon Web Services, provisioned in any region globally depending on what's required. Using cloud services gives us massive advantages in security, scalability, performance, and flexibility. MF: Before the cloud, you'd have to provision physical server hardware in an environment that was fault tolerant and secure. This used to take ages to set up, was very costly and could quickly become redundant as technology upgrades. I imagine you could spend that money more productively? MF: Exactly. What we see today is some people aren't fully taking advantage of the cloud technology at their disposal. They are doing things the old way and just porting it to the cloud. The only difference is that they are installing the software on virtual servers instead of physical. This gives some benefits in terms of physical security and protection against hardware failure and reducing maintenance times. But you are still managing all the file and database security, and in addition optimisation is still relatively manual. GH: When you start going deeper into using cloud services properly it all becomes about resources and services rather than thinking in terms of servers and other traditional hardware; and the provisioning of these resources in the most efficient and optimal way. GH: The point of cloud is that it is itself a software tool, by using the AWS suite of products, we can easily make use of enterprise grade, tried and tested software to facilitate our own product deployments. This means that each study or trial's infrastructure can be configured to our customer's needs and is secured using proven technologies. So does this help you in terms of speed of deploying? MF: Yes! We can deploy a new instance of our platform in just 25 minutes. It leaves us more time to focus on making sure our platform is securely operating at the right levels of performance. Study participants really want to know that their data is safe and that we are taking our responsibilities seriously. GH: We are proud of how quickly we can deploy and the flexibility of the system we have created. By using cloud services to their fullest extent, we can automate what used to be done by a large team of infrastructure specialists and database experts. This makes our infrastructure lean, fast, and best in class for the industry. It means our technology deployment is never holding back the critical path for deployment – allowing us to keep pace with the fastest of our customers. How is this developed? Is there a specific methodology you use? GH: We use a defined Software Development Life Cycle - or SDLC - based on agile methodology, with cross-functional teams involved throughout the process. The old way used to be siloed teams using a waterfall methodology. This meant design specifications and code were passed from one team to another, each team effectively washing their hands of their responsibilities once it was off their plate. MF: I much prefer our collaborative and agile approach, taking advantage of the expertise we have across the team. From product management, to testing and quality, we are ensuring compliance, performance optimisation and that the best ideas from across the team are used. We work in cycles to design, code, assess, review and test our product. This way we can be sure our platform meets the needs of our patients, healthcare professionals and customers – being secure, following best practices, and being documented and validated to be audit ready, as we operate within a regulated industry. And most importantly that we have absolute confidence in our platform. Sounds like you both have a very interesting job. Why do you do it? GH: I love working in a positive, cross functional team. Solving problems and taking ownership of delivering a great product that our customers love to use. It's so unusual to be involved in software development, at scale, and still have sight and input to the full end-to-end process. And it's not just coding. uMotif is unusual in that we get a view into all aspects of the company, from sales and marketing through to development and delivery. It means we get to work in a collaborative environment making technology that has a real impact on patients' lives. MF: I like to be solving some of the biggest healthcare challenges in our society. We have a big responsibility in uMotif, what we develop will go some way towards assessing the latest clinical interventions. Decisions made based on the data we capture will leave a deep and lasting impression. I'm thankful to play a part in this.